Any destination I visit, I make an attempt to use their public transportation system, instead of hailing taxis. Public transportation is lot cheaper and gives better pulse of a destination than taxi. 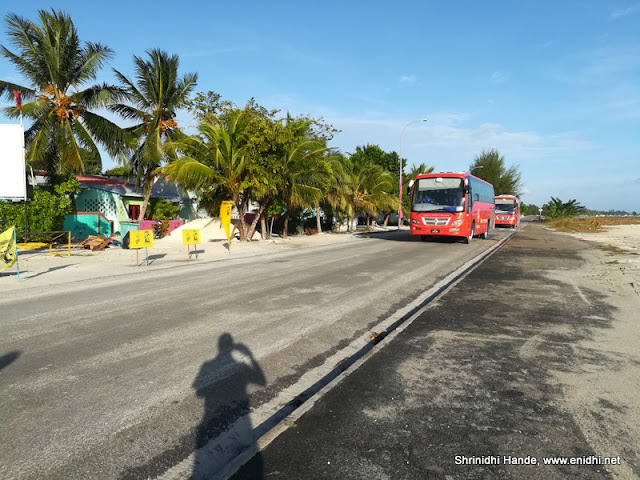 On my visit to Gan Island, Maldives, I made an attempt to check if I can use public transport instead of availing taxi service arranged by hotel. I was told there is a bus service but not much details were available- like timing, fare, stops etc. Upon my arrival, I decided to take a chance. We arrived at GAN airport at 8.20 AM so had all the time in the world. We only had hand baggage so we started walking. Couldn't see any bus or bus stop near airport so kept walking. We walked a bit till Bank of Maldives ATM, near Feydhoo harbor. 9 AM is too early in the day by Gan island standards- very few people on the roads and most shops closed. There was no sign of any bus or bus station. We walked a few hundred meters further north on the link road. 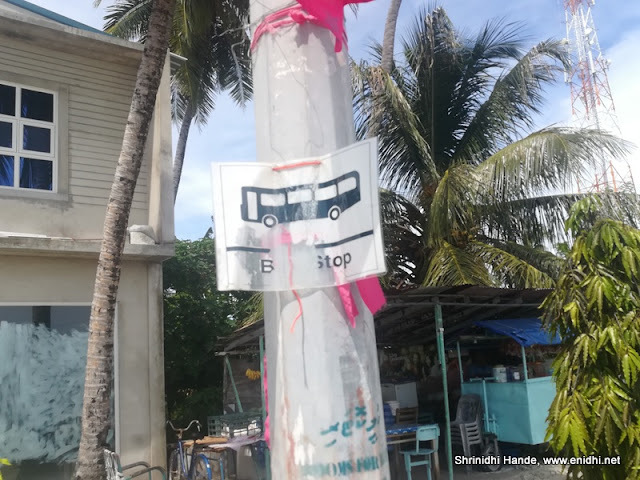 Asked at a shop about bus and they said bus will come. Then I spotted the bus coming in opposite direction, headed towards airport. Figured that it will go close to airport, may be stop for a while, turn around and we should be able to catch it on its way back. Waited close to 30 minutes and it arrived. Our stay was at Cress Lodge, but due to language problem couldn't communicate well with the conductor. So we eventually agreed to buy a ticket till last stop and I can get down wherever I want. 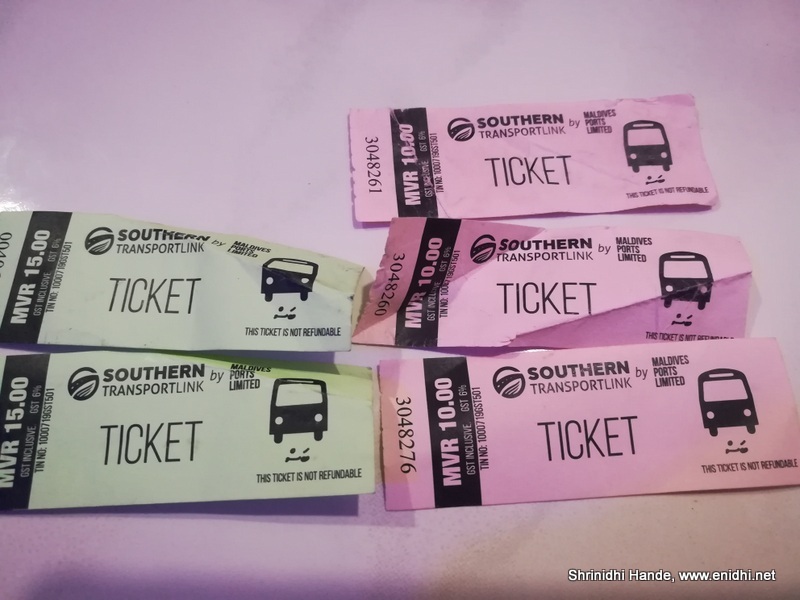 The ticket was 15 MVR (USD 1) per person. (Taxi fare would have been 12-15 USD minimum). 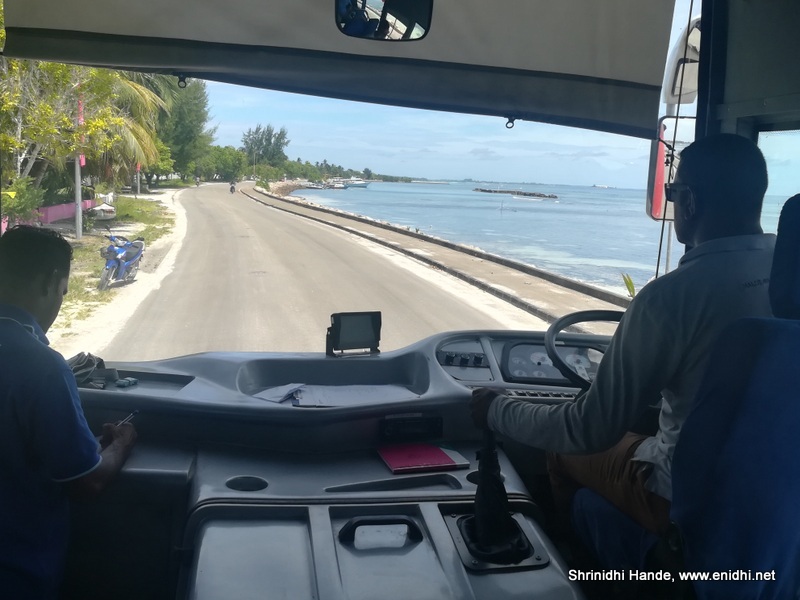 The bus went mostly on the link road, but upon entering the last island (Hithadhoo), it left link road, turned interiors to stop at a school/university. 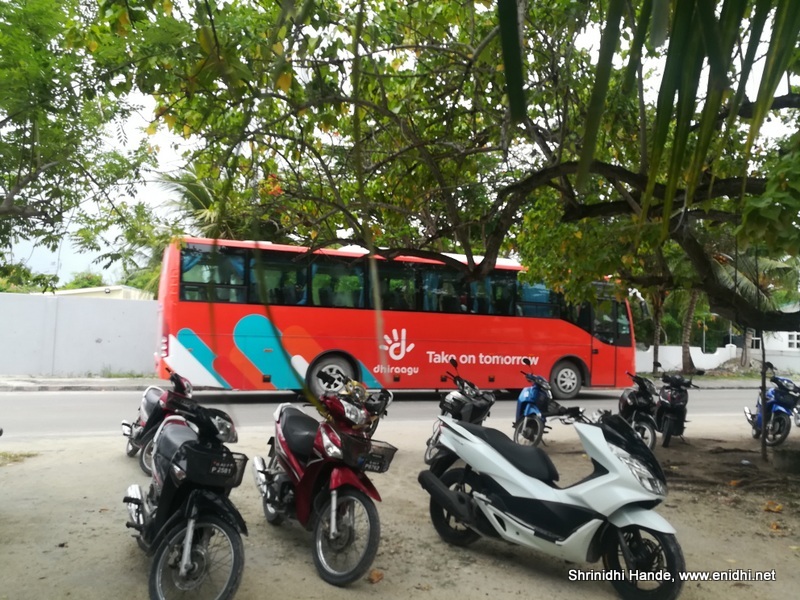 This Sharafuddin school/Maldives University campus was next to Cress Lodge, but I missed spotting it. 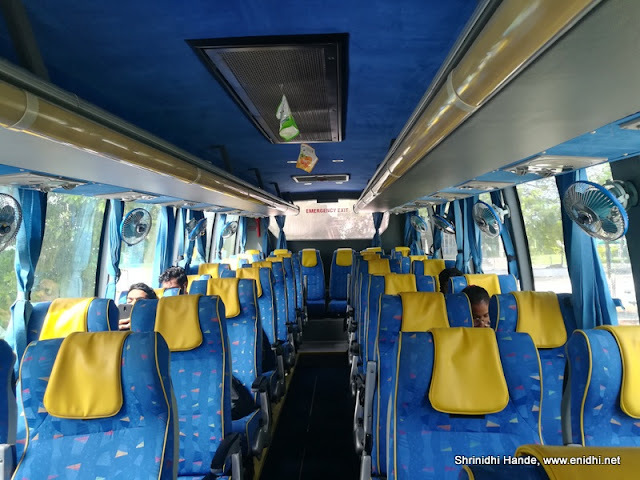 Then the bus went further to Elhe Didi Magu and I realized that I am moving far away from my hotel. So decided to get down at next stop and walk back to hotel. 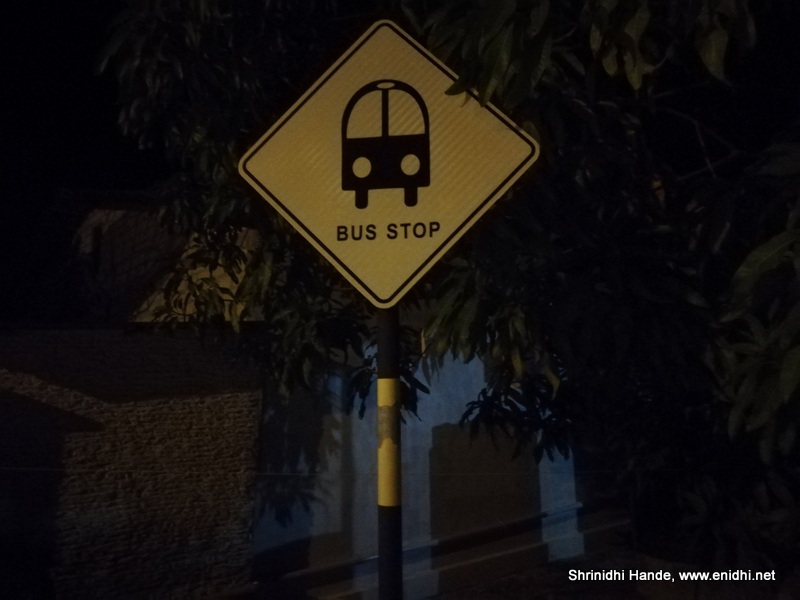 Later in the evening, during our walk spotted the bus again at Sanam Cafe. Had an opportunity to talk to bus crew- they said there're a total of 6 buses plying in Gan island. I tried to explain him I meant number of buses and not trips, but he insisted there're 6 buses. Spotted them all at a depo near Feydhoo harbor later. Their white bus leaves from Sanam Cafe at 7 AM, 9 AM, 11 AM, 1 PM etc, This would mean from the other end (500 meters from airport) you should be able to get a bus at 8 AM, 10 AM, 12 Noon, 2 PM etc. With six buses, they can run them at a gap of 20 mins in each direction, so that potential passengers get more frequent buses- however looks like they are scheduled in such a way that one may have to wait up to an hour for a bus. 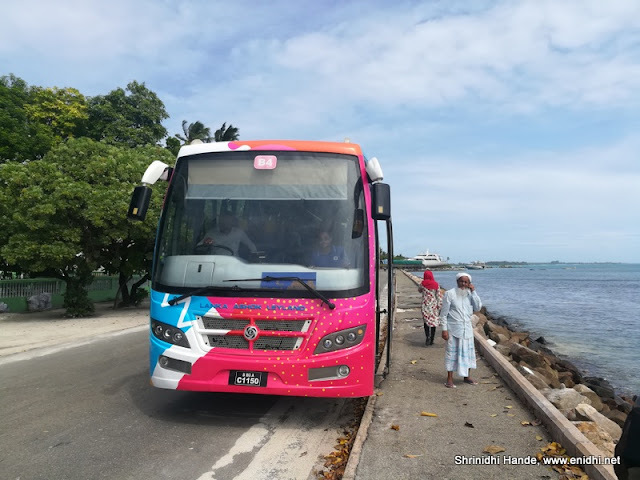 Yes, bus service is available in Gan island Addu city and you can reach your hotel/destination for one tenth the taxi fare. If you've early morning flight (like Srilankan UL120 to Colombo at 9AM), depending on bus to reach airport could be risky. It is possible but bit tight. There're not much options in Gan Island, Maldives- either use bus or hire a taxi. No tuk-tuk (Rickshaw), No Bike taxi, no train. 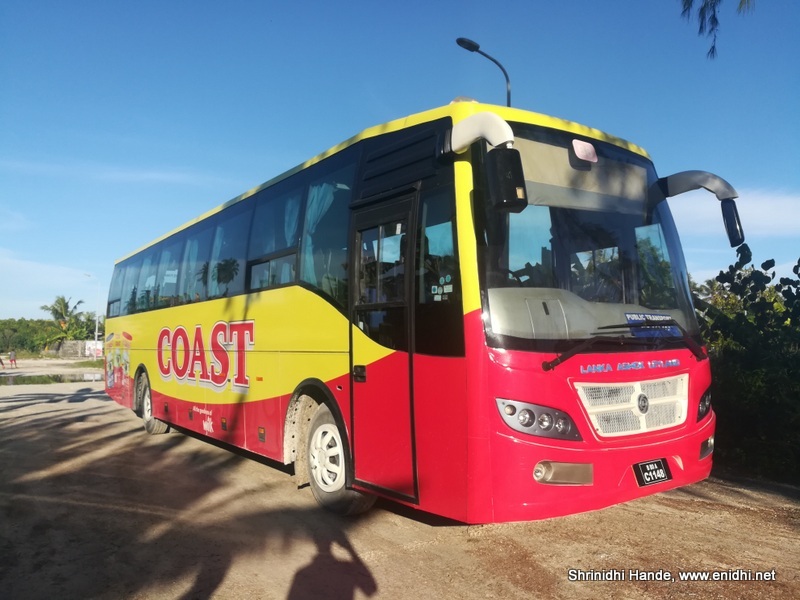 Ferry is an option if your destination is not connected by road. Frequency is the worrying part. 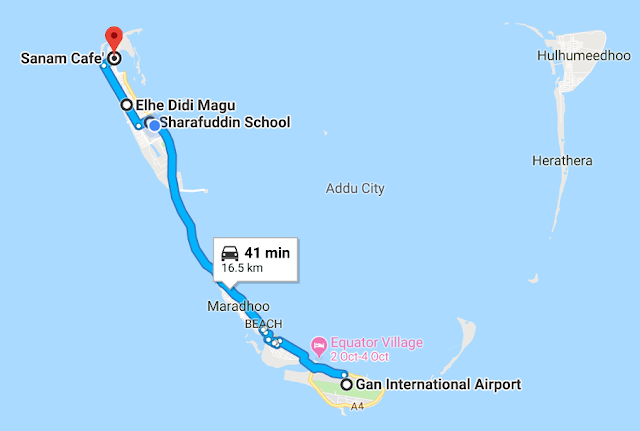 Bus takes roughly an hour to cover 16+ kms one way. 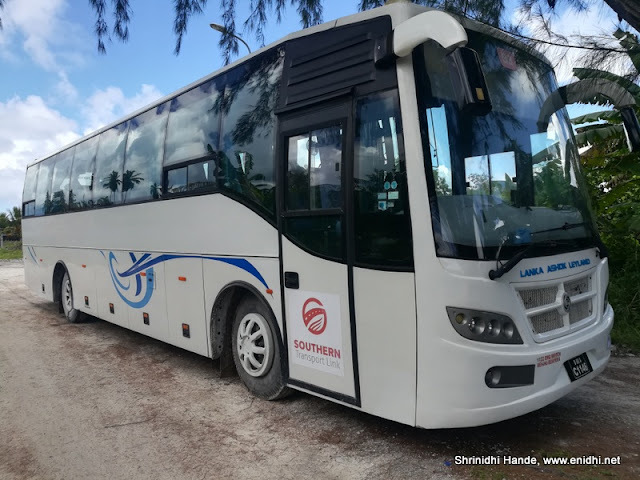 So if you miss the bus, next bus could be about an hour away-you might be able to manage either with some local help or with sheer luck.